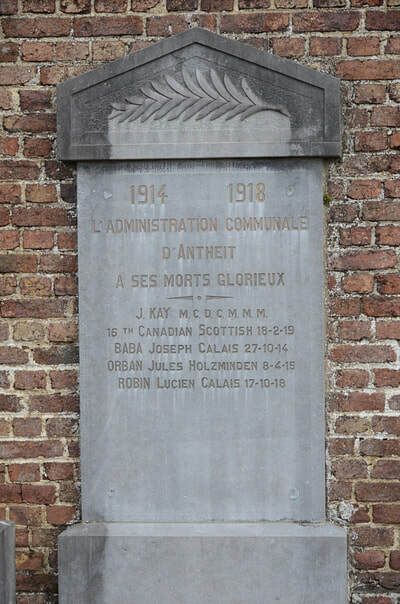 The village of Antheit is located north-east of the town of Huy on the N65. From the motorway E42/A15 which runs between Liege and Namur turn off at junction 6 and onto the N65 direction Huy. 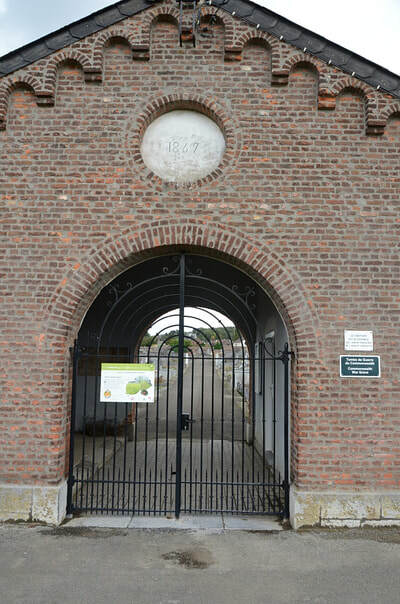 Follow the N65 until it runs by the railway and the river on the left, turn right along here into rue Thier Boutique direction Antheit. Follow towards the village, bear right at the first fork into rue des Chasseurs Ardennais and to the T junction, turn left into rue Malvoz then first right into rue Thier De Messe and first left past the church, the cemetery is along here on the right. 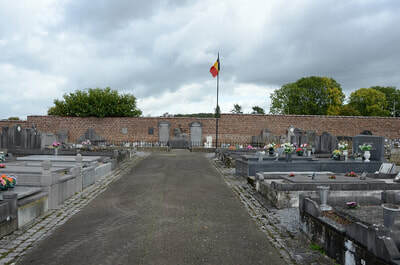 The graves are located at the end of the main alley against the wall. 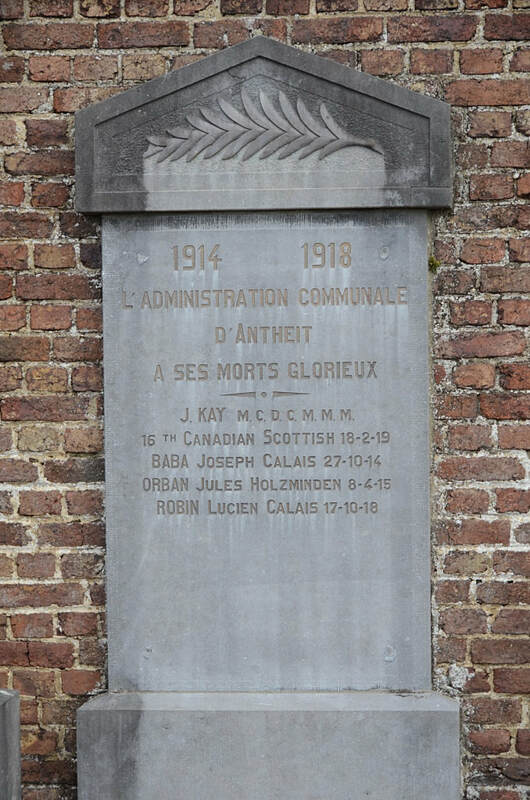 Antheit Communal Cemetery contains one Commonwealth burial of the First World War. 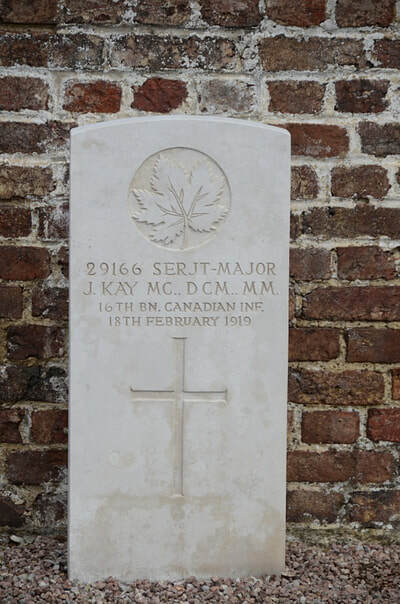 29166 Regimental Sergeant Major J. Kay, M. C., D. C. M., M. M. 16th Bn. Canadian Infantry, died 18th February 1919.